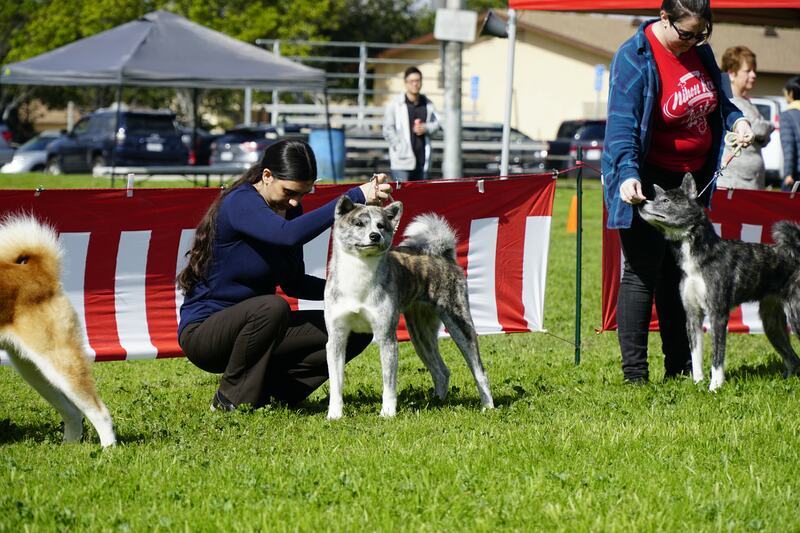 For the second year in a row, we traveled to California to attend both the JACA Nihon Ken Invitational and the annual AKIHO show with Senka. Not only did we get to participate in the shows, but we were so excited to meet up with friends from all over the country that we only see one time a year; at this event! Of course, in grand tradition, Senka sensed the upcoming show and decided that she would rather not be in coat. Regardless, she still showed her heart out and we are so proud of her accomplishments. 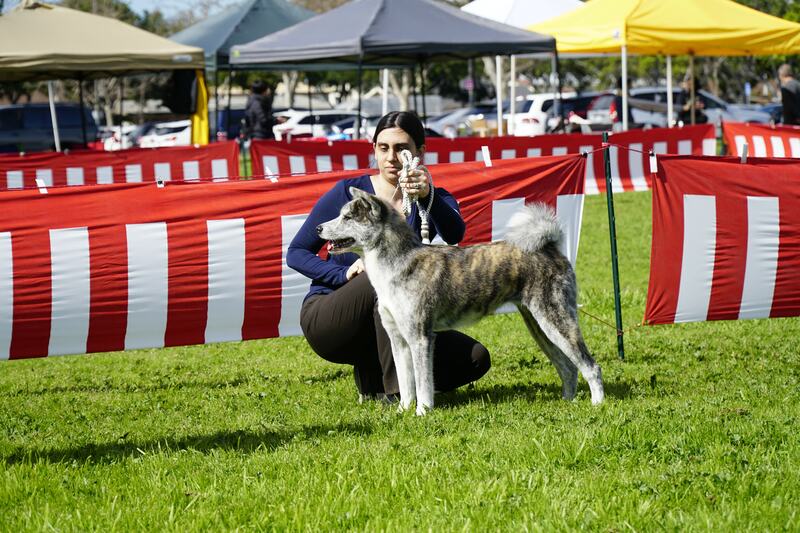 There was fantastic competition at the JACA Nihon Ken Invitational this year and we were proud at how well Senka showed. 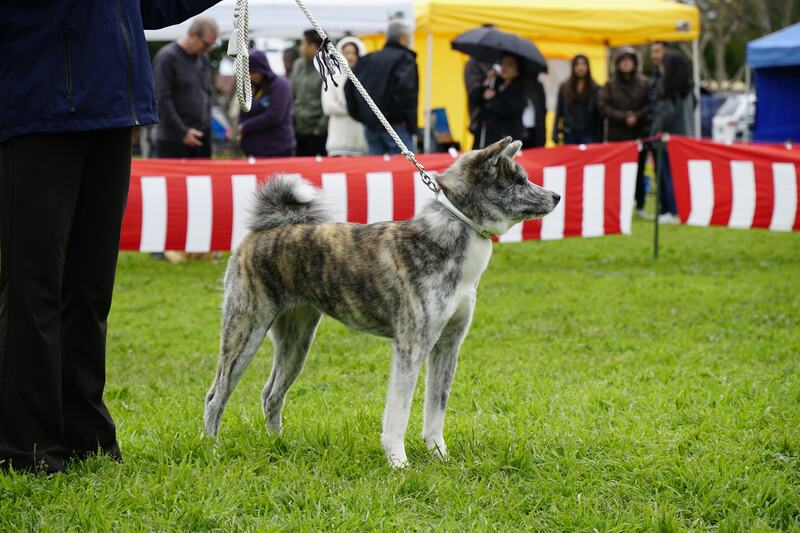 We especially look forward to the AKIHO show every year. In this show, we have the opportunity to have critique from an AKIHO judge that comes to us from Japan. 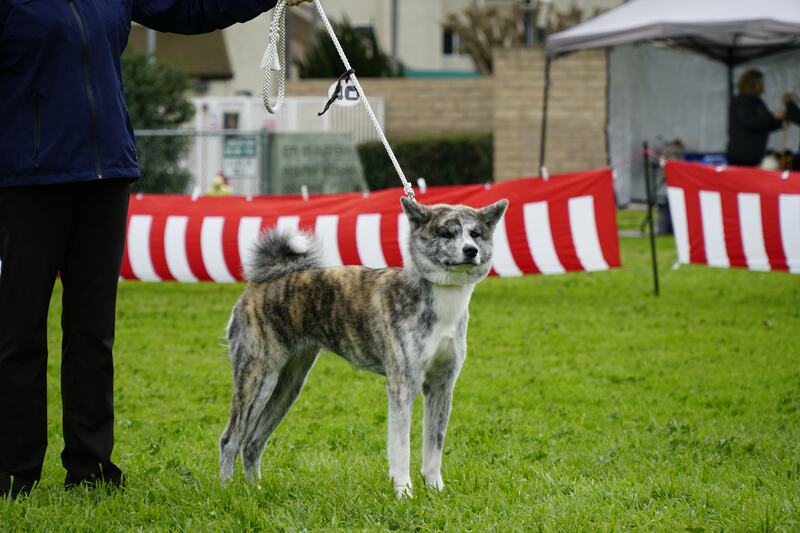 This year, Senka received many favorable comments from Judge Kosei Miura. 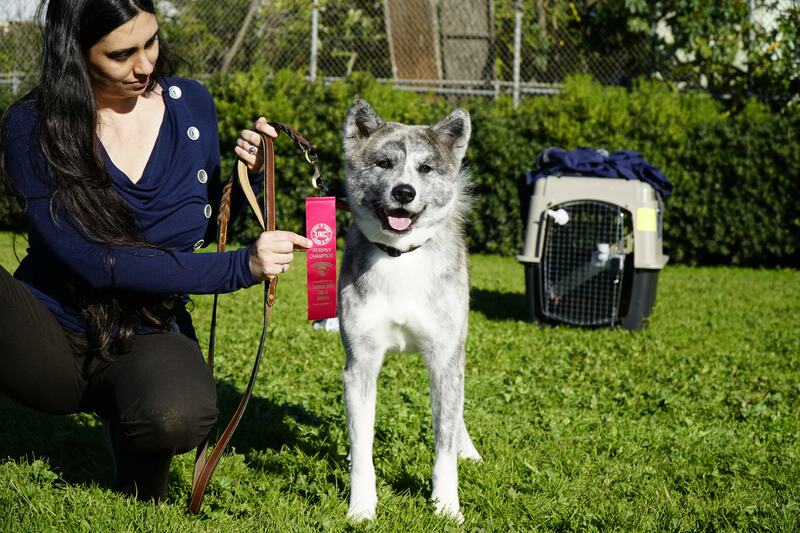 He thought that her red brindle coat had nice shades of silver and red and her joints had perfect angles. 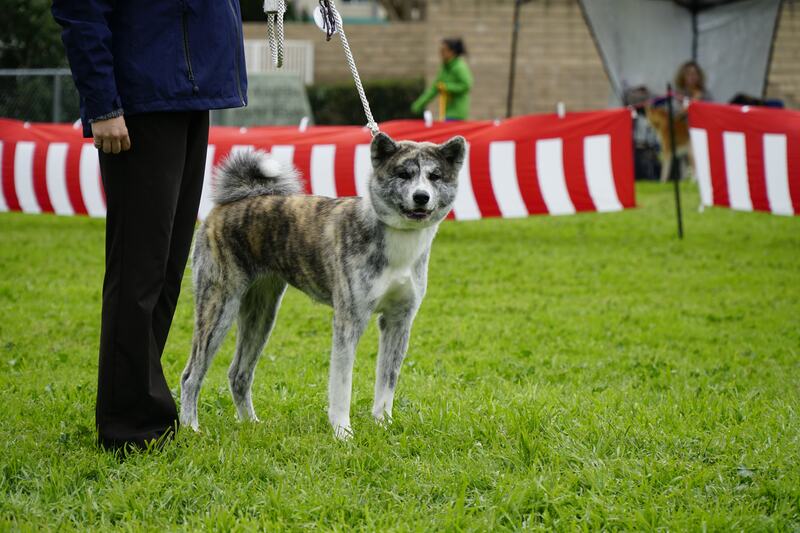 Since she was out of coat she could not show at her best, but Mr. Miura expects she will do very well in future shows. 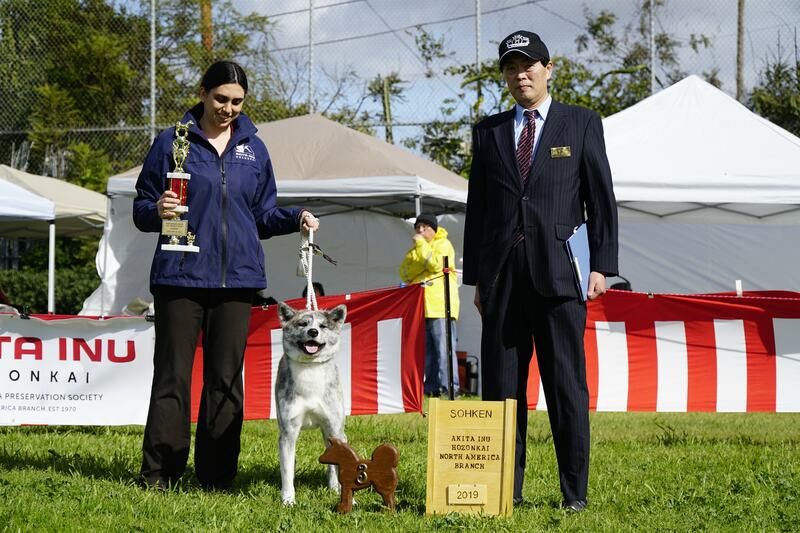 We are proud that Senka placed third in Sohken class and couldn’t be happier with how well she showed in the ring. We can’t wait to see what the future brings for our beautiful girl and expect many more great things from her.